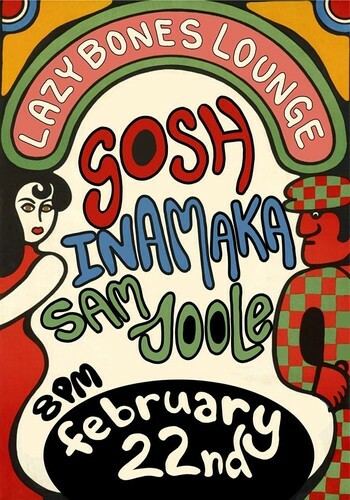 Friday 22nd of February see's Wollongong's GOSH make the trip to Sydney to display their unique take on indie rock with the right amount of soul. Ina Maka return to their favourite Sydney venue with their new 4-piece line up. It's their first show for 2019! Expect the same Psychedelic Soul sounds with a slightly heavier edge! Sam Joole is an Australian-based singer/songwriter. He has been touring, performing, recording and composing music across the world for the last decade. Matty T Wall from WA plays Blues, Rock & Electric Roots. With Matty T Wall (guitar, vocals), Ric Whittle (drums) & Stephen Walker (bass guitar).